I am pretty lucky I have to admit because at one of our local grocery stores we are fortunate enough to have double coupon day twice a week (every Wednesday and Saturday). So with some really awesome store sales and coupons I was able to save $23.64 today! The big sale was on Special K cereal, it was on sale 2 boxes for only $3.00! So that was an awesome deal on its own but then I had coupons to make the deal even better. I had several coupons for a $1.00 off of two boxes (which double to $2.00 off of two boxes), making the boxes of cereal only $0.50 each! I ended up getting six boxes at that price. We also bought some meat on sale and were able to pick up some hot dogs on sale that also had a coupon for $2.00 off on the package. 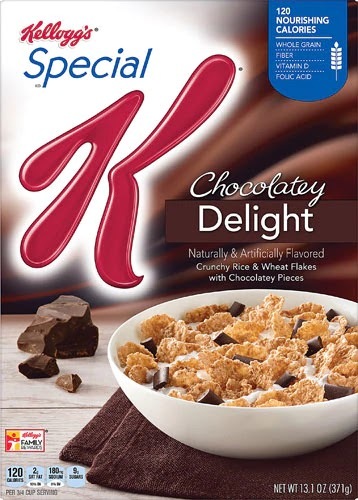 I usually get my coupons from coupons.com and from Kellogg's Family Rewards. Be sure to check out our Savings Total to see how small savings add up to large savings over time!